You travel with music - and Bose® has a speaker system that conveniently travels with your music. The Bose® SoundDock® Portable system offers a more efficient and higher quality audio reproduction than other rechargeable systems can't match. Enjoy hours of listening with Bose® quality sound and portability for your iPod® or iPhone®. A rechargeable lithium-ion battery (included) provides more power and longer playing time than most rechargeable batteries, for up to 8 hours of quality playing time between charges. The battery charges whenever the system's power cord is plugged into an electrical outlet. The rotating dock folds neatly for storage and protection during transit. The molded handle allows for quick and easy transport. The Bose® SoundDock® Portable system is practical for today's active lifestyle. The lightweight system is a small, slim profile with no compromise in sound quality. The powerful neodymium speakers provide efficient, high quality audio. Its portable iPod® play back for almost any location, indoors or out. Plus, the ramping volume feature allows the music to gradually increase when first turned on, rather than instant blaring music. There's a remote control for volume and basic iPod® functions and touch-sensitive volume-control buttons directly on the speaker. Also an auxiliary input for playing other audio sources, such as a DVD, CD or other MP3 player. 4.737704918032861 (61 Reviews) 100% of reviewers would recommend this product to a friend. Great gift - very excited to get it! 10/15/2009 - Posted By Falcon from Boston, MA. Product Review: I love the SoundDock and have used it almost every day since it arrived. I really enjoy not being tied down to a wall plug and take mine outside for yoga or the pool and all around the house. When connected to computer via aux, will it start automatically? which portable speakers allow wireless IPAD Air and IPHONE 5s compatiblilty? Please call a member of our staff at 1-866-224-6171. Thank you for your inquiry. 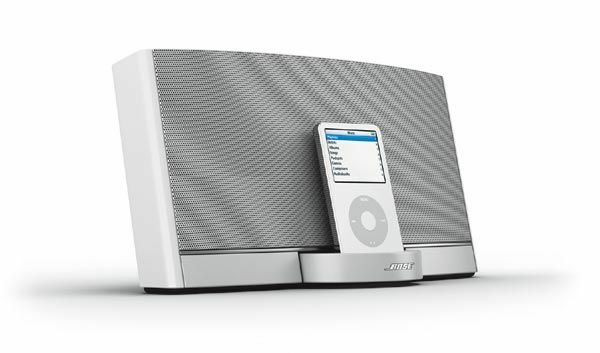 Yes, the Bose® SoundDock® Portable Digital Music System is compatible with an iPhone 4th generation. Have a great day! The Bose® SoundDock® Portable is compatible with most iPod and iPhone models, including the iPhone 4S (16GB, 32GB, 64GB), iPhone 4 (16GB and 32GB), iPhone 3GS (8GB, 16GB, 32GB), iPhone 3G (8GB and 16GB) and iPhone (4Gb, 8GB, 16GB). Thank you for your inquiry. Can you use the system as a PA with a microphone? No, the Bose® SoundDock was engineered so you can enjoy music from your iPod out loud in more locations, without compromising sound quality. It does not have the functionality to be used as a personal amplification system. For mobile DJs, live performances and public speaking, Bose® has developed the L1® Portable Systems using its proprietary technology. These systems are lightweight and feature interlocking components to transport and set up easily. Thank you for your inquiry and please call 1-866-224-6171 for additional assistance. 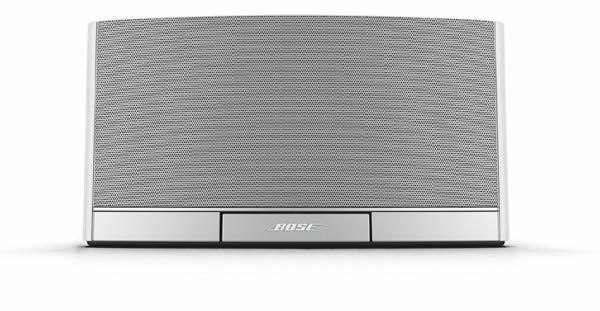 Unfortunately, the Bose® SoundDock® Portable Digital Music System is not designed to be used with a microphone. Sorry for any inconvenience. Thank you and have a great day! 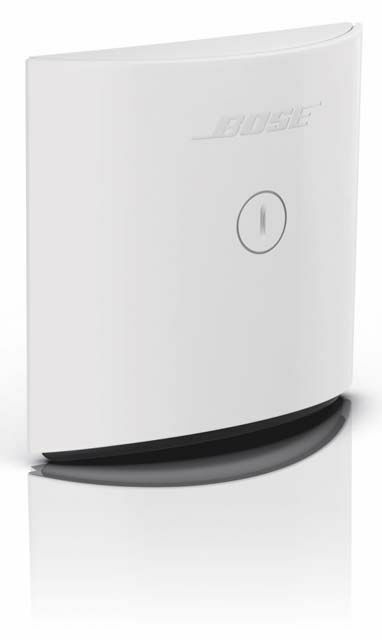 The Bose® SoundDock® Portable Digital Music System can run on its own battery, but it will not plug into a car. Thank you and have a nice day! does the Bose® SoundDock® Portable Digital Music System have the necessary technology to become bluetooth capable and wireless if i buy the bluetooth jack, it looks like only the sounddock 10 has that capability. 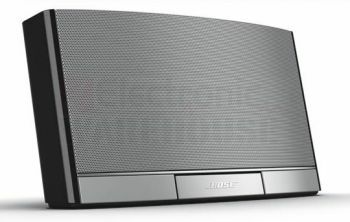 The Bose® SoundDock® Portable Digital Music System is not a Bluetooth device and cannot be made into one. If you are looking for something with Bluetooth capability, we recommend the Bose® SoundLink® Wireless Mobile Speaker. If you need further assistance, feel free to contact our customer service experts at 1-866-224-6171. Thank you and have a great day! Where/how can I get a replacement power supply cord for my Bose SoundDock Portable Digital music system? Someone lost the cord that came with the product and i need a replacement. If you contact Bose directly, they can help you with this issue. Bose Customer Service number is 1-800-380-4831. Thank you and have a great day! All of the products on our web site are new in the box. None of the products we sell on our site are refurbished and we are also an authorized dealer of our products. Thank you for your question. If you need further assistance, please contact our experts at 1-866-224-6171. Have a great day! What is the speaker output .....20W, 30W, 40W......??? Bose® does not disclose the power rating or wattage information on speakers. Thank you for your inquiry. No, it is not advised that you use another source other than a Bose® power supply cable. Thank you for your inquiry. If you need a replacement power supply for the SoundDock® Portable digital music system, also known as style N123, please contact a Bose® customer service professional at 1-800-999-2673. We do not have any in stock at this time, and Bose® would be most helpful in getting this particular item to you more quickly. The full manufacturer's warranty from Bose is only valid when the Bose SoundDock Portable Digital Music System is purchased from an Internet Authorized Dealer. 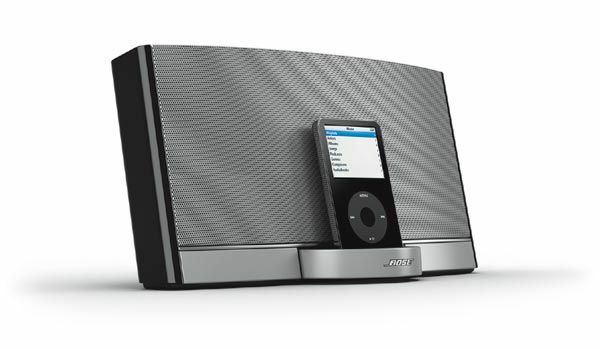 We will match any Internet Authorized Dealer's best price on the Bose SoundDock Portable Digital Music System. The Bose SoundDock Portable Digital Music System may be referred to by the following terms: 40250, 43091, SOUNDDOCKPRTB.